It was a very, very long and wonderful day. 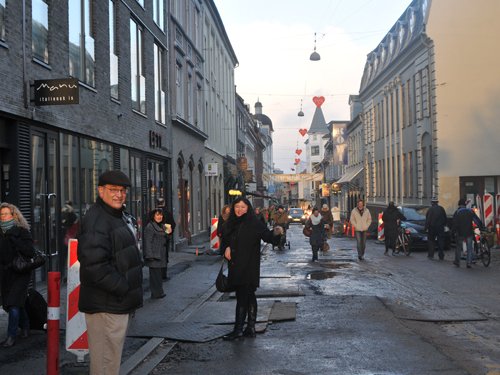 At 5 a.m. in Aarhus Denmark with a ride to the airport courtesy of Mogens Kilian (see previous tour report),we began our journey through Copenhagen to New York to receive the greatest honor of our careers. Musical America’s Musician of the Year Award is the highest honor in classical music given in America, and is recognized around the world. We have proudly joined a list of recipients that includes Anne-Sophie Mutter, Yo-Yo Ma, Wynton Marsalis, Anna Netrebko, Riccardo Muti, Esa-Pekka Salonen, and Andre Previn, and Bernard Haitink. 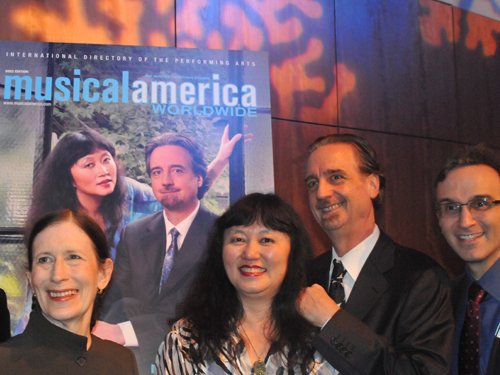 Musical America was founded in 1898 as a weekly arts newspaper. Over the years the publication passed through various hands. The first incarnation of what is today’s annual issue appeared in 1921, and has evolved to become the bible of musical presenting, including articles on honoree musicians, advertisements, listings of virtually all artists worldwide under professional management, and reports by managers on their current artistic offerings. The practice of awarding a musician of the year award began in 1960. In 1998, Musical America launched musicalamerica.com, which has since become a source of choice for the most up-to-date news the music world. When we first heard about an award coming our way from Musical America, we surmised that perhaps we were being recognized as instrumentalists, or educators. We needed to be told several times, after numerous double-checkings, that we were indeed to receive the top award. The fact is still somewhat surreal. That this award wound up in the hands of musicians who have gone about their business unconcerned with market pressures and commercial considerations is not only incredible but historic. When we started ArtistLed, we were alone and had no idea that so many institutions and artists would follow us down the path of independent recording production. We have always thought of ourselves as servants of the art, never as celebrities, and we have never sought the spotlight as a source of gratification for our efforts. Our lives in music have always been about “the work”, as we call it, but what makes the Musical America award so special for us is that we have received it because of that work, not just for our instrumental activities. 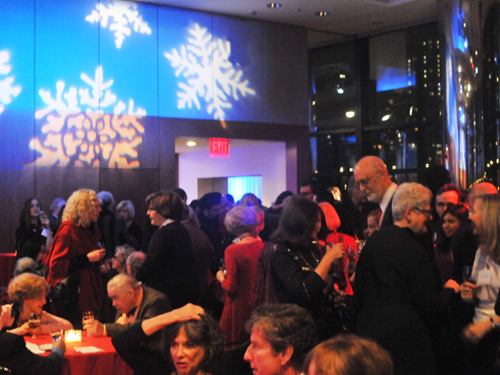 The awards ceremony began just after 6 p.m. in Lincoln Center’s Kaplan Penthouse – familiar territory for us, as it is located on the 10th floor of the Rose Building, just across from the offices of the Chamber Music Society. 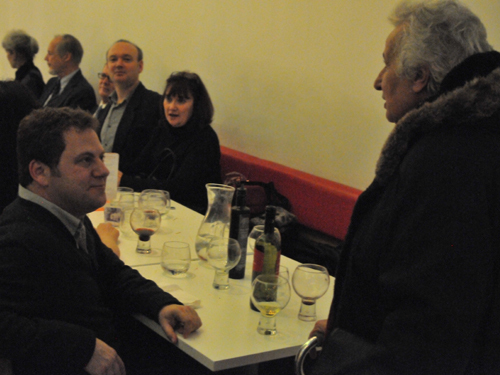 The room was packed with what seemed to be every important person in the classical music industry. 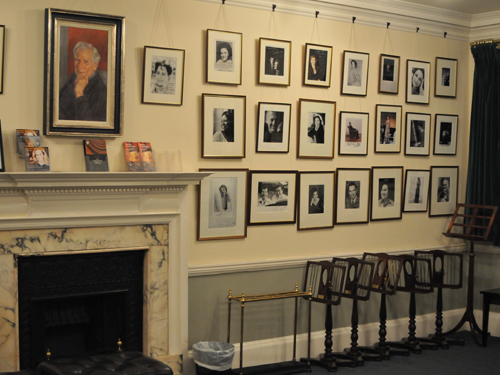 Everywhere we looked, the magazine cover, with our beautiful picture by Christian Steiner, was prominently displayed. There was nowhere for us to hide on this occasion! 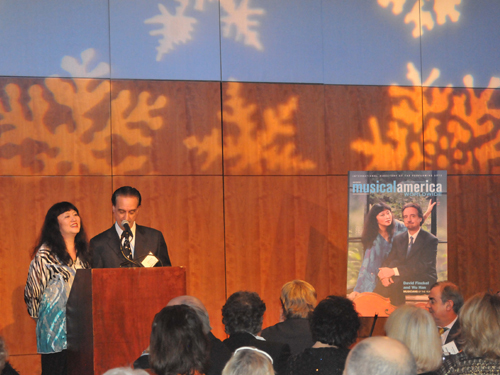 Musical America editor Sedgwick Clark paid tribute to the honorees and handed each of us our awards. 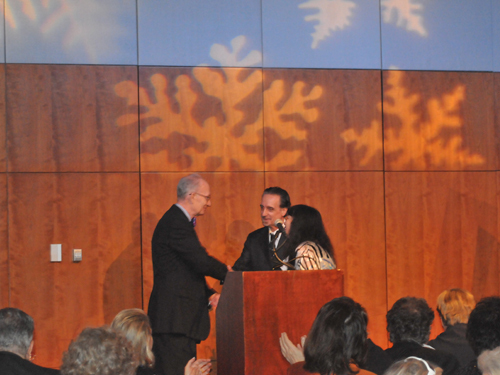 We all made speeches acknowledging those who have helped and supported us, and spoke of what this award meant to us. It was especially wonderful to receive the award in the company of two friends of many years, Meredith Monk and Gil Shaham. We all had fun congratulating each other and posing for photographs. 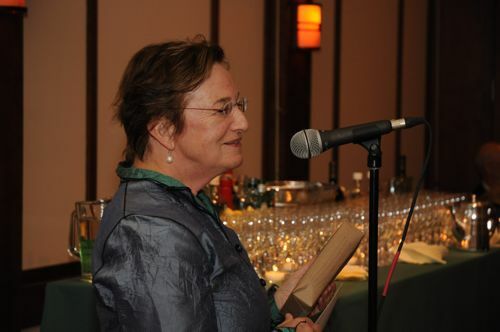 As the awards ceremony came to an end at 7 p.m., we moved next door to the Society’s Rose Studio, which had been set for a special invited dinner party in our honor. Jointly hosted by CMS, Music@Menlo and ArtistLed, this gathering of over one hundred brought together, for the first time, people from our various walks of life, all known to us but not necessarily to each other. It was a way for us to acknowledge and thank all those without whom such an honor as we had just received would likely have never have reached our hands. Joining us from Music@Menlo were Executive Director Edward Sweeney, plus board members Trine Sorensen, Kathy Henschel, Ann Bowers, and Eff Martin, accompanied by his wife Patty. Virtually the entire board of the Chamber Music Society was present, minus Chairman Peter Frelinghuysen who is recovering from eye surgery. 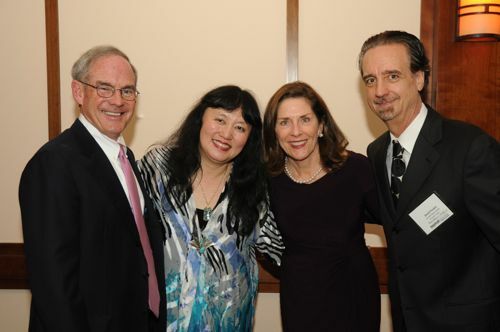 James O’Shaughnessy of CMS delivered a warm tribute to us, as Music@Menlo board member Ann Bowers. Ara Guzelimian and our own Patrick Castillo gave us tributes as well. It was all quite overwhelming. As a birthday present (my birthday was the following day) the staff of CMS shared the amazing short film they had put together of the historic CMS billboard that made a brief but very significant appearance on New York’s West Side Highway in November. Wu Han and I, in a lengthy speech, acknowledged and thanked individually and collectively our guests, all of whom had contributed to our projects in one way or another. 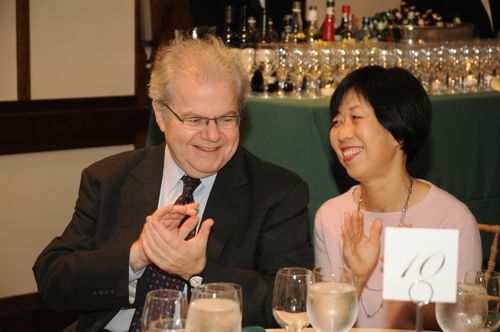 From board members to funders, to staff members of our organizations, to individuals such as Sam Zygmuntowicz and Da-Hong Seetoo, to professionals such as our PR agent Milina Barry and and manager David Rowe, to musician colleagues and advisors, and of course our families, we thanked them all for their support, faith in us, and their friendship. Of special joy for us was the presence of musicians. 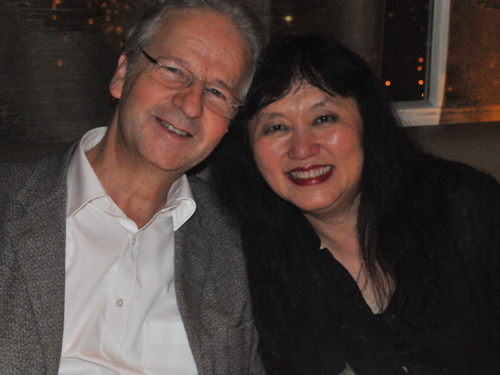 Joining us was a stellar collection of pianists, from Emanuel Ax and Yoko Nozaki to Alessio Bax and Lucille Chung, and especially Gloria Chien, who made the journey all the way from Chattanooga to join us for the evening. 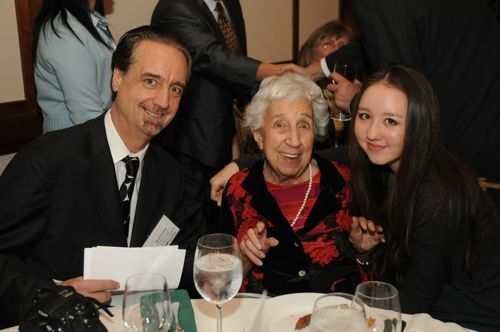 Of special satisfaction to me was the presence of my mother Helen, glowing with pride. 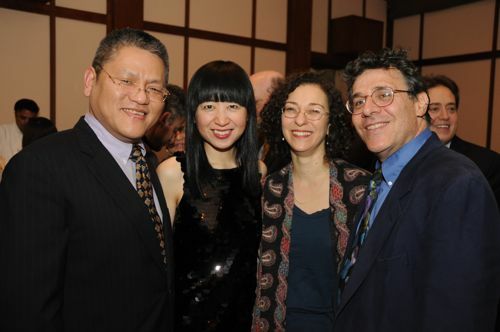 Wu Han’s sister Evelyne, her husband Eric, and daughter Elizabeth also journeyed from California for the event. 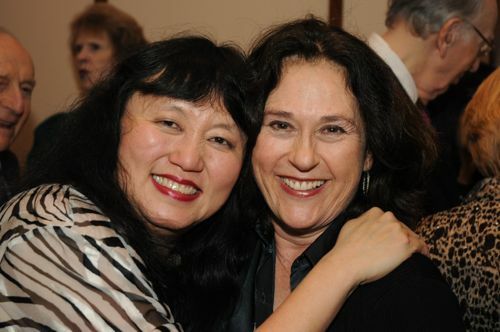 Having been awake for close to 24 hours, Wu Han and I headed home for a very brief night’s sleep, as I was to head out the next morning early for an ESQ concert in West Palm Beach. 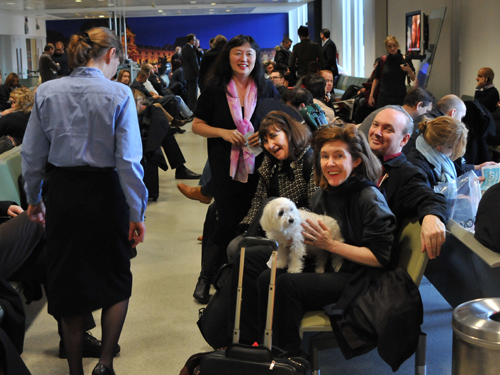 On November 22nd, David, Wu Han and an ensemble of musicians of the Chamber Music Society of Lincoln Center departed for London, the first stop of a three-country tour that would conclude on December 4th in Denmark. 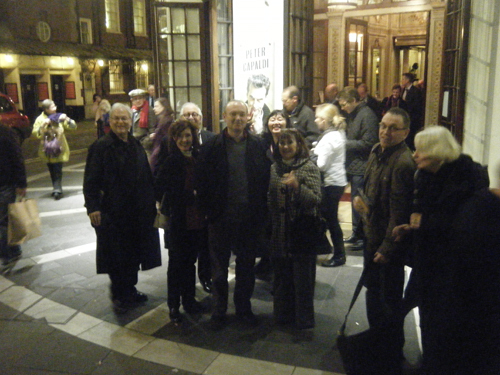 Read all about the tour and see photos in the following report by David Finckel. 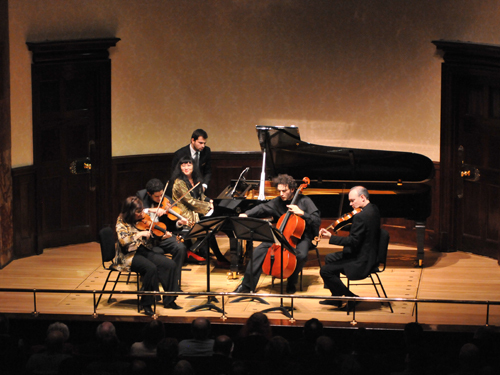 Several years in the making, the Chamber Music Society of Lincoln Center’s (CMS) first European tour during our tenure as artistic directors was an exciting milestone in the Society’s history and in our list of accomplishments for the organization. Wu Han and I have longed believed that today, any artistic entity which deserves world-class status must have an international presence and identity. Certainly CMS, with its current roster of musicians from eighteen different countries, qualifies from the artistic side. That deserving audiences on the European continent, in the U.K., in Taiwan and Korea, and South America, have now heard CMS concerts for the first time in the last several seasons is an important step in making CMS an internationally-renowned institution. 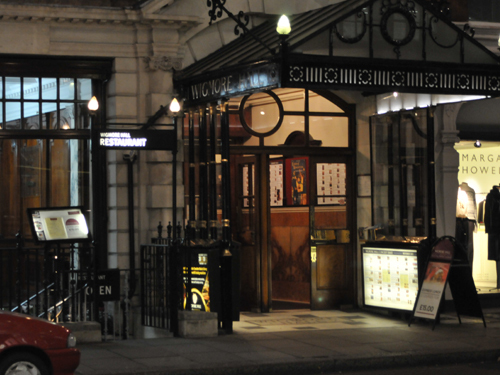 London’s Wigmore Hall sits at the pinnacle of the world’s great chamber music halls. Perhaps only Amsterdam’s Concertgebouw enjoys the same devotion and reverence among its listeners. 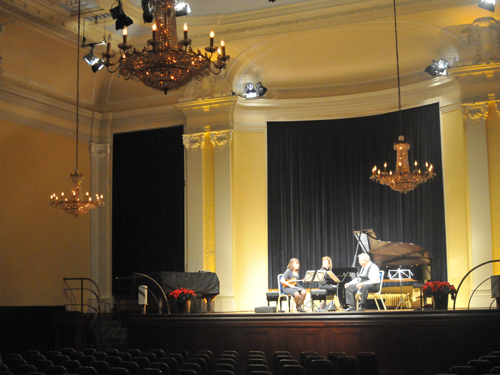 Built in 1899 as Bechstein Hall, adjacent to the famous German piano manufacturer’s showroom, it was inaugurated in 1901 with a concert by Busoni and Ysaÿe. Its elegant interior, lobby and other spaces are the result of the standard set by its architect, Thomas Edward Collcutt, designer of London’s famous Savoy Hotel. 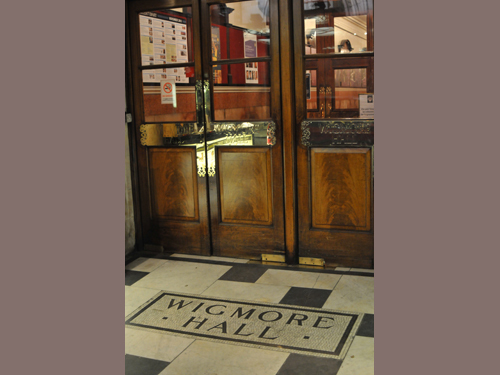 The German-owned hall was seized as enemy property during World War 1 and re-opened as Wigmore Hall in 1917. On the evening of the first of the Society’s three performances, the beautiful wood-paneled lobby was buzzing with activity. 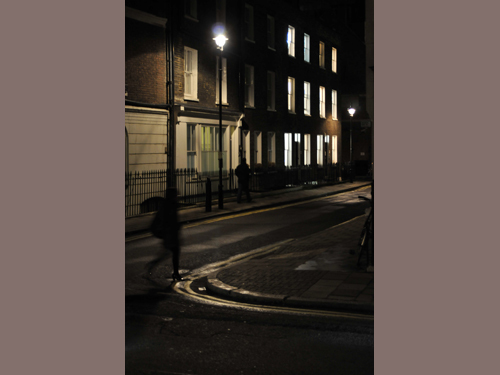 Musicians, however, approach the hall not through the front door on Wigmore Street, but instead by venturing down the dark but charmingly-London-esque Welbeck Way. 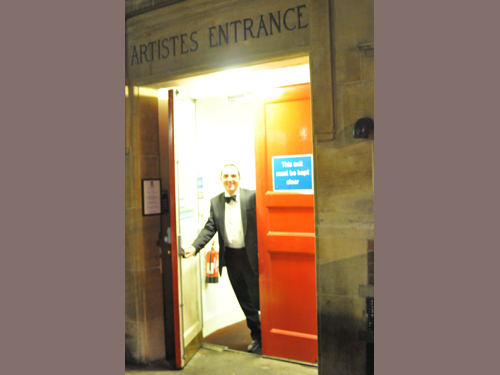 If you are lucky, you might be greeted at the door by the undisputed master of Wigmore production David King. 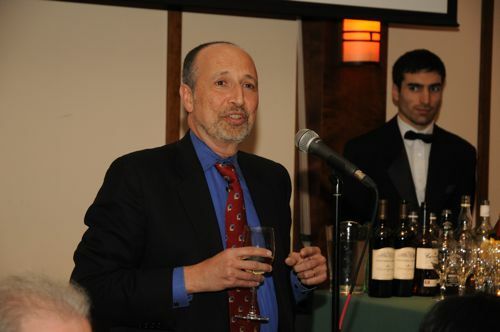 David is a legend in his own time, known to virtually the entire world of distinguished performers that appear at Wigmore as in incomparable source of comfort, counsel, efficiency, hospitality, and hysterically outrageous humor. He has no equal known to us. 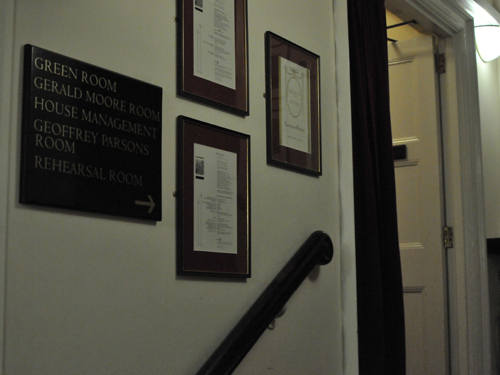 The backstage areas of Wigmore are as iconic as its entrance and the hall itself. It is thrilling to think of the great musicians who have tread the stairs before you, and warmed up in the green room lined with historic photographs inscribed to the hall by such artists of the past and present as Casals, Ysaÿe, Saint-Saëns, Segovia, Poulenc, Prokofiev, Britten, Schiff, Brendel, etc. 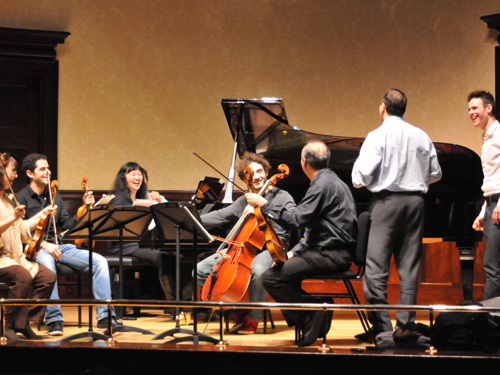 Last-minute rehearsals for the Beethoven String Trio and the Schumann piano quintet included violinists Arnaud Sussmann and Ani Kavafian; violist Paul Neubauer; cellist Nicolas Altstaedt, and Wu Han. The rite of passage to the Wigmore stage is familiar to the fortunate, and carries with it a sense of obligation to play your best. The programs that CMS presented all contained challenging music and were designed to show off every possible thing that we could do. The first concert could not have been more so: the G major string trio of Beethoven is known to all as a staple of the repertoire requiring virtuoso treatment as well as refined taste, but the second work on the program, Jörg Widmann’s Jagdquartett (Hunt Quartet), commissioned by Klaus Lauer of Badenweiler, is a virtuoso vehicle of an entirely different sort. With echoes of hunting music by classical composers, this all-out depiction of an old-style hunt comes complete with multiple sound effects, including yelling from the performers (while playing) and a death agony scream at the end from the cellist, in the role of dying animal. 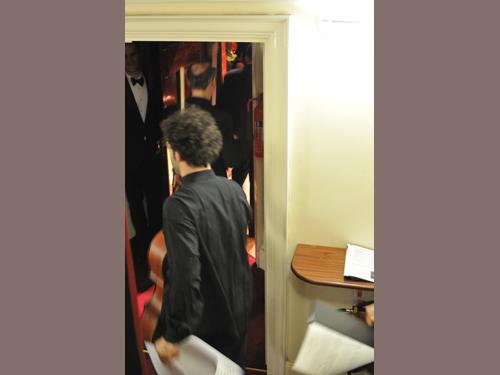 This moment was dispatched with unequalled passion by Nicolas Altstaedt, rousing laughter from the audience and putting the rest of the musicians in states of peril, attempting to control themselves. 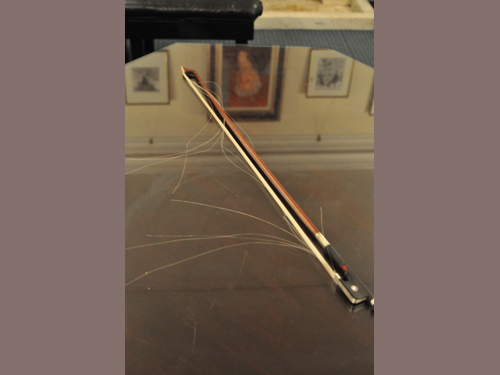 The post-performance condition of Nicolas’s bow attested to the extremes of the work, which closed a first half that rather triumphantly demonstrated the breadth of CMS’s talents, if I do say so myself. The concert closed with a passionate performance of the Schumann Piano Quintet, which was rewarded by the warmest of ovations from the surprisingly large audience (we are not known well yet in London). 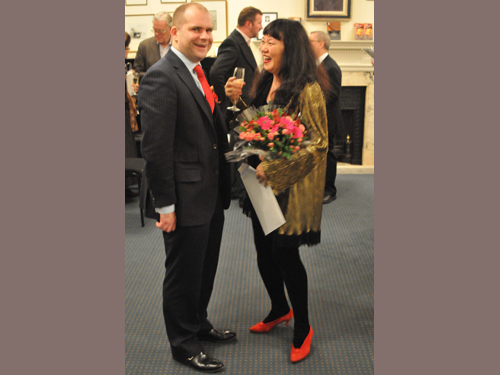 Champagne and flowers courtesy of Wigmore Hall was a much appreciated and gracious gesture. 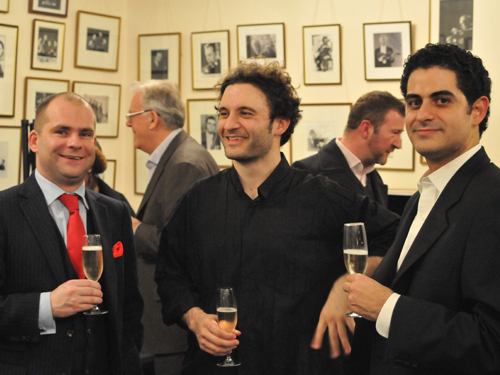 Backstage, Wigmore Hall Artistic Director John Gilhooly had a celebratory drink with Wu Han and the rest of the musicians. John, only in his mid-thirties, ascended to the role of Artistic Director in 2005 and has given the hall an incredible boost of creative energy, with many innovations such as its powerful commissioning program. Distinguished British cellist Paul Watkins, recently named music director of the English Chamber Orchestra, marveled at the difficulty of the Widmann quartet. 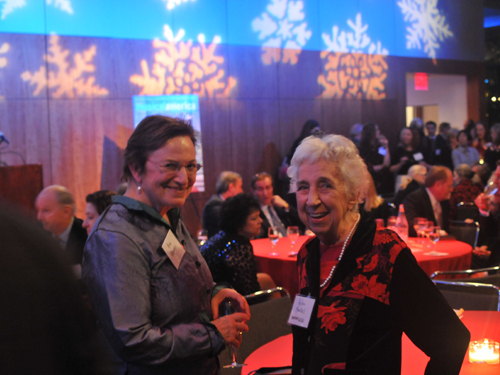 Below the hall, in the elegant restaurant, CMS Executive Director Norma Hurlburt greeted a dinner table of friends of CMS, our guests for the evening. 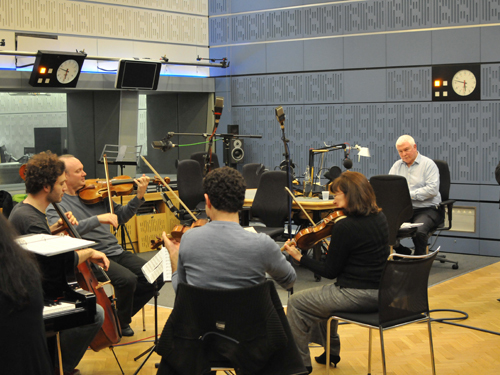 At the conclusion of the following day, which was filled with rehearsals for our next program, the group walked the few blocks from Wigmore Hall to the BBC building to appear on BBC 3’s famous live radio show In Tune, hosted by legendary classical music radio personality Sean Rafferty. 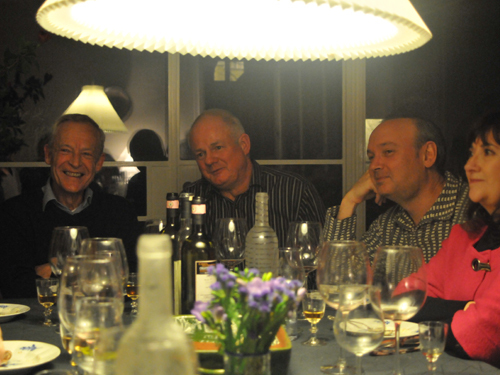 Afterwards, we were treated to a gracious Thanksgiving dinner by cellist Paul Watkins and his wife Jennifer – a thoughtful gesture for us Americans away from home. 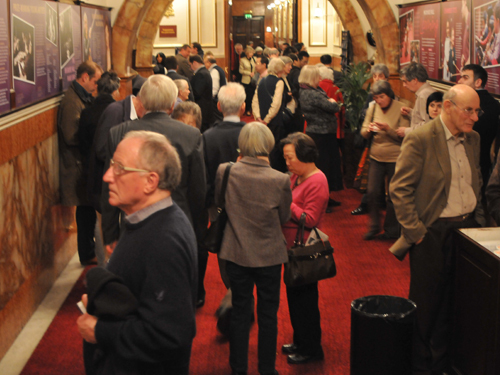 Saturday’s concert was Russian-themed and once again included challenging works. 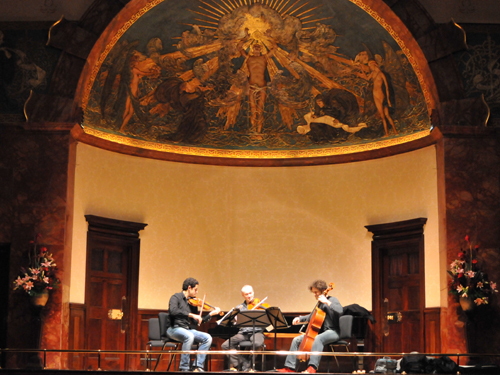 The program opened with Arensky’s luscious, atmospheric quartet for violin, viola and two cellos, with its famous variations on a theme by Tchaikovsky as the central movement. After that, musical gears switched suddenly to the 21st century with Lera Auerbach’s Cello Sonata No.1, composed for me and Wu Han, an anguished, dark work of gripping intensity and quintessentially Russian in the modern sense. After intermission, the concert concluded with a two-piano Russian extravaganza performed by Wu Han and Anne-Marie McDermott, which included Shostakovich’s mercurial Concertino and Rachmaninov’s Suite No. 2, which produces the virtual sonority of an entire symphony orchestra. Once again, a filled house seemed to love our music-making and rewarded the musicians with an enthusiastic response. 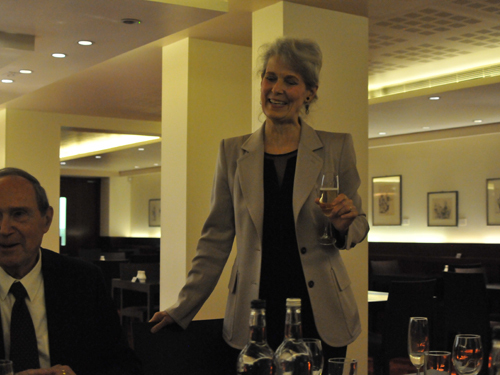 Post-concert festivities brought together, as usual, a wonderful collection of our friends which we had the pleasure of introducing to our musicians, including cellist Anita Lasker-Wallfisch, and recording industry consultant Jonathan Gruber, seen here together at dinner. The musicians, filled with food, satisfaction and relief that things were going so well, gathered in the charming street for a photo late at night. David Shifrin had arrived only that morning and was looking forward to a big day on Sunday. The final concert of our residency not only featured the clarinet in all three works, but contained the much-anticipated London premiere of the jointly-commissioned Clarinet Trio by Pierre Jalbert. Having received its first performance in New York only the week before, the piece was still fresh in the hands of the players. Pierre made the trip over, all the way from Houston with this family, to hear the rehearsals and performance. 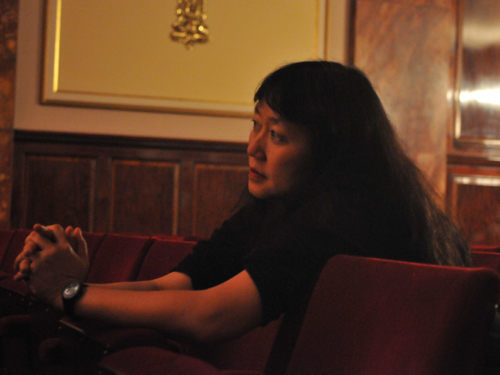 Listening just as intently to the dress rehearsal were both me and Wu Han, a practice we have dedicated ourselves to since our earliest days as artistic directors. 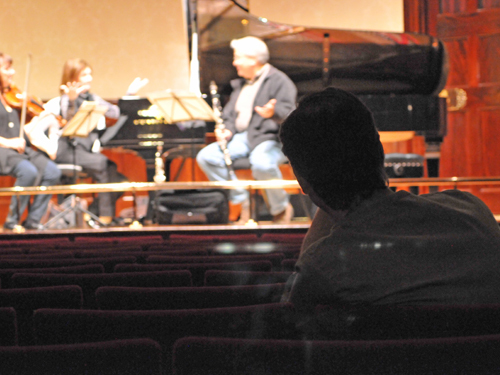 There is nothing more important for chamber music performers than to have experienced ears in the hall checking for balances and anything they might not be aware of. We are happy to contribute our time this way in service of the music and our colleagues, and equally happy when the favor is returned for us, when we are the ones on stage. The Jalbert piece, which is a terrific new addition to the clarinet chamber repertoire, was splendidly performed, and the composer was enthusiastically applauded. 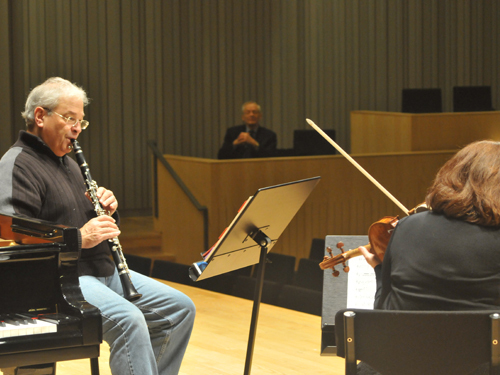 The concert also included four of Bruch’s Eight pieces for clarinet, cello and piano, which we recently recorded and released with David Shifrin. 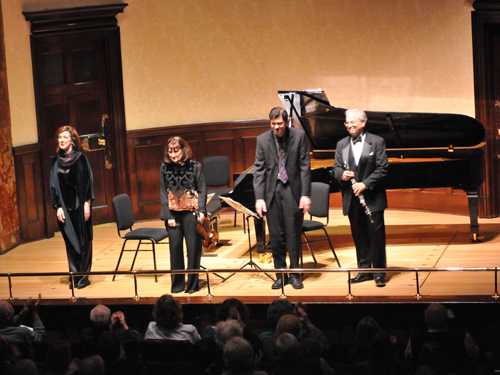 The conclusion of our residency was the magnificent clarinet quintet of Brahms, somber yet magisterial. 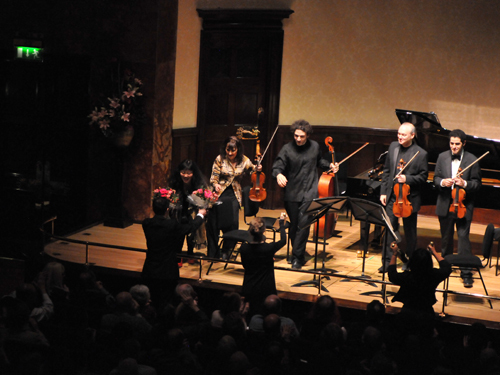 It provided an extremely dignified and moving conclusion to the first phase of our ongoing relationship with Wigmore Hall. Wu Han and I left the hall that filled with pride and glowing from the impeccable performance of the Brahms – one of the finest I have ever heard or given. Every musician sensed the importance of this series, and also the relished the opportunity to be a part of it, and we could not have been more grateful for their combined dedication and artistry at the moment we needed it most. 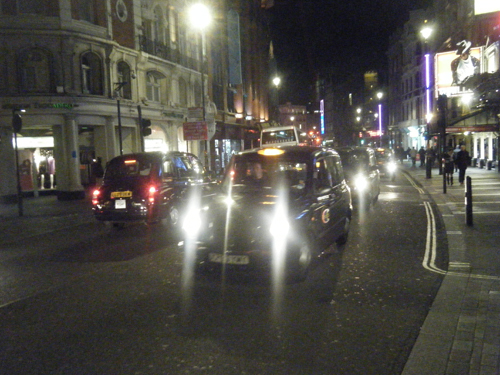 Besides the concerts, our visit to London was filled with additional activities that made our time there a residency in the truest sense. 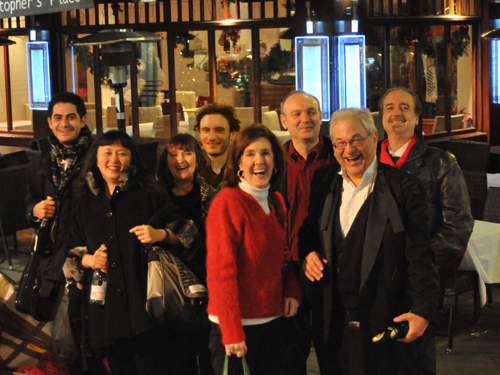 We were privileged to get to know many fine young musicians as a result of invitations to give master classes in several of London’s distinguished music schools: Wu Han and Ani Kavafian journeyed outside London to the fabled Menuhin School; Paul Neubauer and I taught two long classes for violists and cellists at the Trinity Laban School Conservatoire for Music and Dance in Greenwich; I gave an entire day of cello and chamber music lessons at the Royal Academy of Music, and Ani Kavafian also stopped there for a packed, full-evening master class. In every place we encountered eager and talented students, and the warmest of receptions from the administrations and faculty. 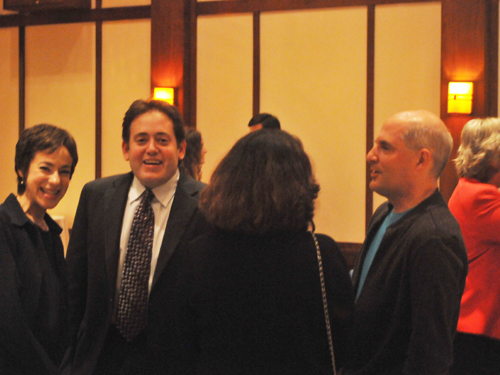 Everyone caught up with friends, former students, colleagues, and Wu Han and I were busy at virtually every opportunity meeting with journalists. 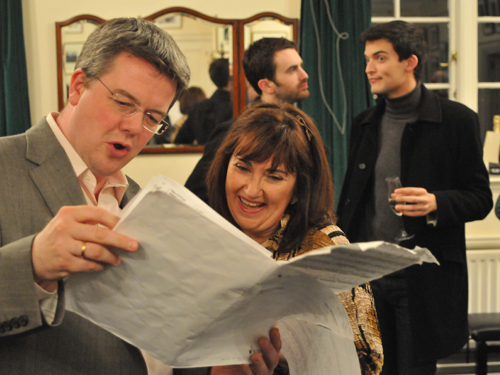 Among them was Oliver Condy of BBC Music Magazine, and Fiona Maddocks, one of London’s most distinguished music journalists. 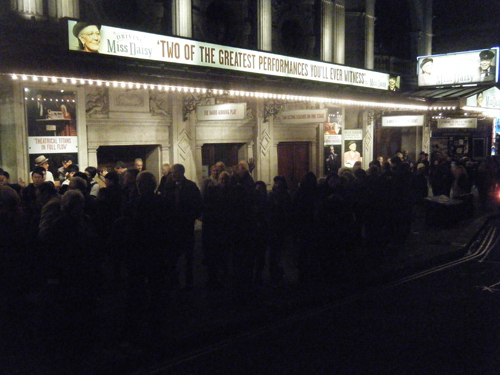 Free days found musicians determined to experience London’s most famous pastime: the theater. The group (without me) scored a double hit of immensely enjoying the fabled production of Driving Miss Daisy, and then chatting with the show’s stars Vanessa Redgrave and James Earl Jones, who happened to take the table next to them at a nearby restaurant after the show. Having filled free days in London with teaching and other obligations, the musicians readied themselves for a day of travel to Hamburg on Thursday, the day of the performance. Normally this would be no problem, except that a public sector strike in the U.K. the day before threatened the sureness of airports and flight schedules operating normally on our day of travel. Fortunately, nothing was amiss, and we got ourselves back into the musician’s normal life of airport survival strategies. 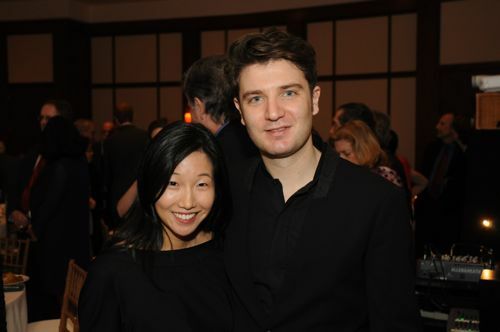 Our performance in Hamburg was presented by chamber series directed by cellist Niklas Schmidt. Niklas is the former founding cellist of the distinguished Fontenay Trio, and now is a busy professor at the Musikhochschule in Hamburg as well as an in-demand soloist and chamber music collaborator. Our venue was a place I had never played but I had to wonder why: Hamburg’s Mozartsaal is one of the most beautiful rooms I’ve ever seen, with acoustics to match. Having lost both Nicolas Alstaedt and Arnaud Sussmann, the group forged on with a different program, no less challenging: Anne-Marie, David and I began with the Beethoven clarinet trio, followed by a set of the Barber Souvenirs for piano, four hands. The new Jalbert trio closed the first half, and the program concluded with Dvorak’s ever-popular Piano Quartet. A big surprise at the performance was the sudden appearance of violinist Daniel Hope, whose path I had crossed in Europe three times already in the last month. Daniel – ever the most supportive colleague – made a special stop to hear our concert between the end of his tour in Amsterdam and his journey home to Vienna. 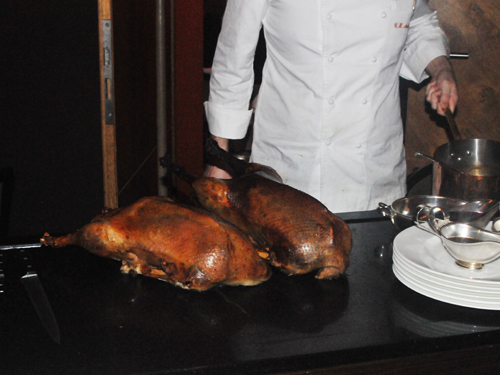 After the concert we walked a short distance to the elegant restaurant Tarantella for an incredible meal of goose, graciously arranged well in advance for us by the pianist Sebastian Knauer, who unfortunately had become ill and was not able to attend. We missed him dearly, but the geese showed up nevertheless and were absolutely incomparable. The dinner went late, with musicians’s stories (the best kind) flying back and forth between all of us and Daniel and Niklas. 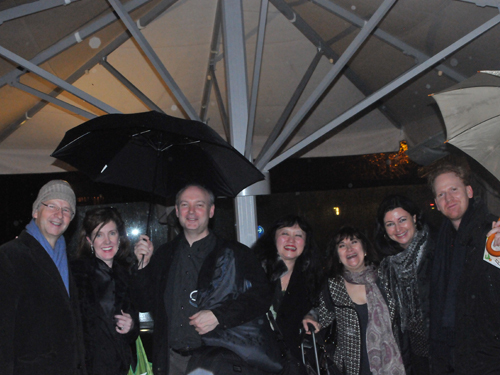 After eating and drinking more than we should have, we ventured out into the rainy Hamburg night for a final photo, before heading our separate ways. The following day brought more teaching for me and Wu Han as we had been asked to hear the very gifted young Saguaro Trio, which had won the Hamburg chamber music competition the year before. (Followers of this blog will remember seeing photos by Wu Han, who was invited into the jury by its chairman Menahem Pressler). Wu Han and I had plenty to say to the trio, who expertly tackled the C minor Mendelssohn for us during a session that lasted way overtime. On this tour, I especially enjoyed a schedule more relaxed than I can remember, especially as I am so often with the Emerson Quartet which plays a concert and travels almost every single day, sometimes six in a row. A full day was allotted just to take the easy train from Hamburg to Aarhus, where we were met by ageless and tireless local presenter Mogens Kilian, who bounded onto our train and whisked our luggage off in the blink of an eye. 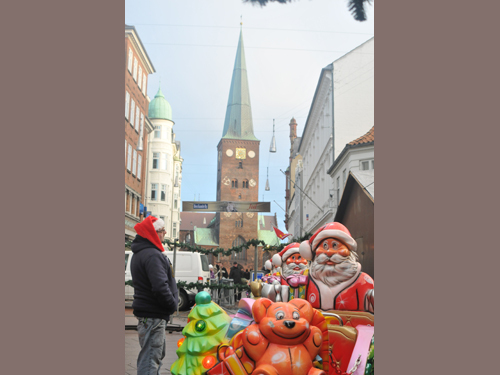 Although it was cold, the curious musicians – none of whom had been to Aarhus, ventured out in the afternoon to explore the charming town and admire its distinctly northern character, all decked out for the coming Christmas season. Mogens, who founded the organization thirty-eight years ago, has assembled a dedicated collection of fellow scientists and amateur musicians to run the series. The spirit, friendliness and hospitality of this group is equaled by only a handful of presenters in the world, in my experience. Invited to dinner in Mogen’s home that very night, we were treated to an evening of home cooked food, gracious treatment, and stimulating company that made for an unforgettable evening. 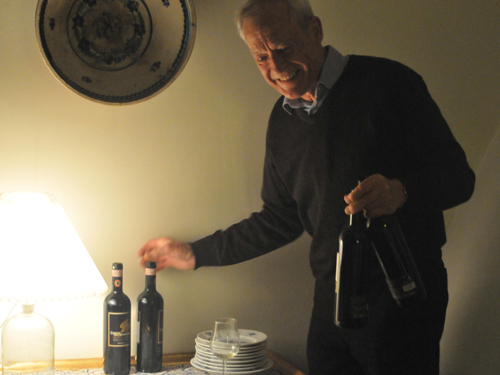 Mogen’s wife Marie did all the cooking, Mogens served a variety of delicious wines, and friendships were forged that will last long into the future. 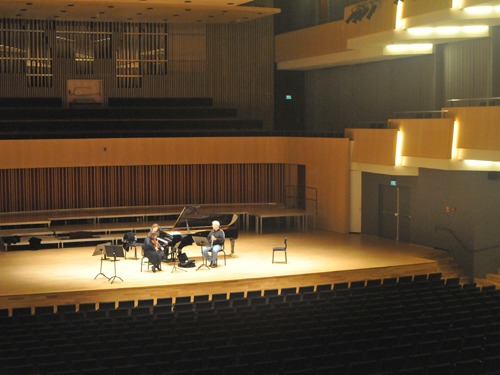 The next day we had the luxury of rehearsing in the magnificent new concert hall which sits literally next to our hotel. 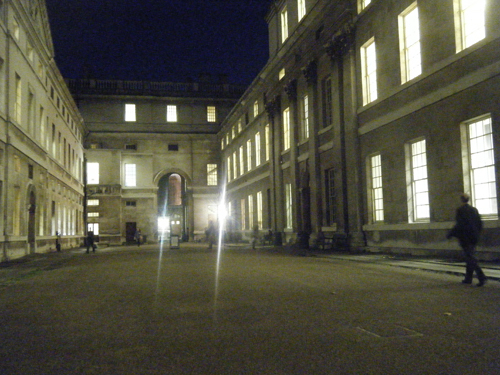 The large space is surprisingly intimate and has first-class acoustics. As could be expected, Mogens himself delivered and set up all the wonderful backstage amenities, took care of our CD sales materials, and on top of it found time to lose himself in the rehearsal of the Jalbert trio. The concert was heavily attended and included numerous young and enthusiastic musicians from the local orchestra and conservatory. 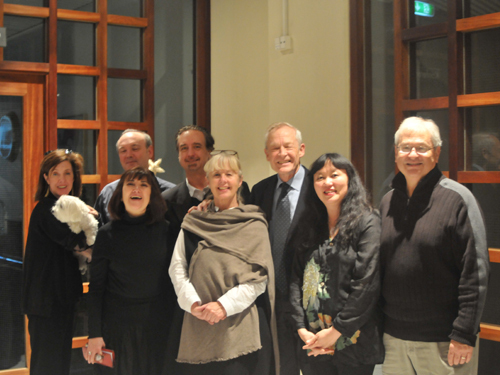 Afterwards we had a farewell dinner at the hotel (hosted once again by Mogens), and gathered for a final tour photo with Mogens and Marie. 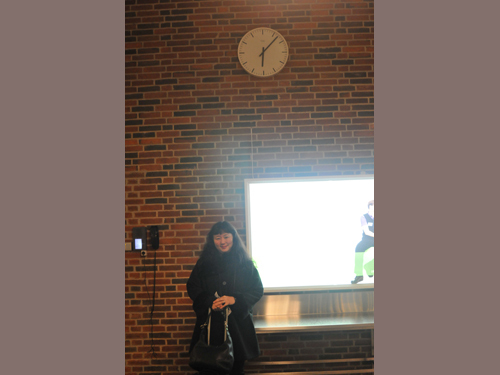 Never to be underestimated, after leaving the hotel close to 1 a.m., Mogens was back in the lobby at 5:15 a.m. on the dot, looking rested and chipper, to drive me, Wu Han and Paul all the way to the Aarhus airport, which lies a good 45 minutes out of town in the apparent middle of nowhere. Not a blink of sunlight appeared during the journey, and upon bidding Mogens a nice return to bed, we learned that he was returning to the hotel (another 45 minutes) to pick up Ani Kavafian and bring her to the airport as well. 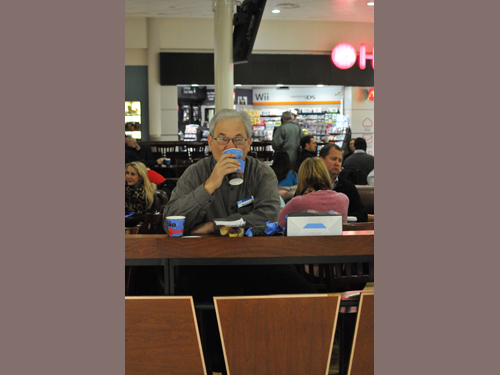 So Mogens – among whatever else he had to do that day – spent a full three hours doing airport runs for us before the sun came up. 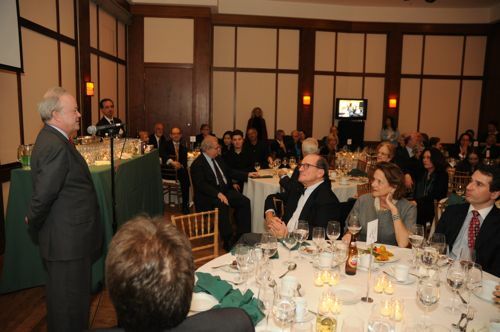 He is truly a remarkable man for whom we have great admiration and affection. 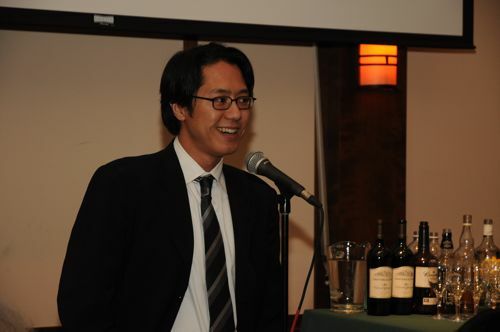 He represents and characterizes one of the highest quality chamber music organizations we know. This was the morning of December 5, what was to be a landmark day for me and Wu Han. Read all about it in the next blog, coming soon.